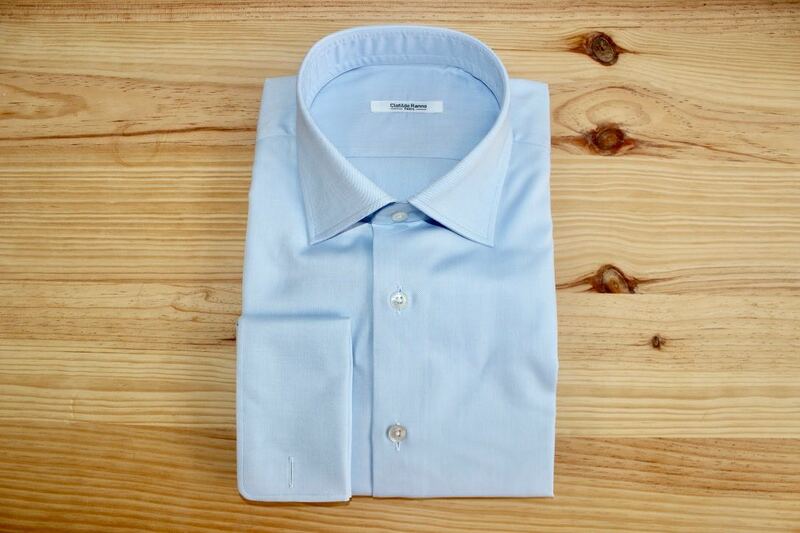 Stripped shirt for men, 100% Egyptian cotton, simple yarn, Italian collar, Neapolitan wrists. Traditionally made (handmade pattern and cut). From 199 euros VAT included. 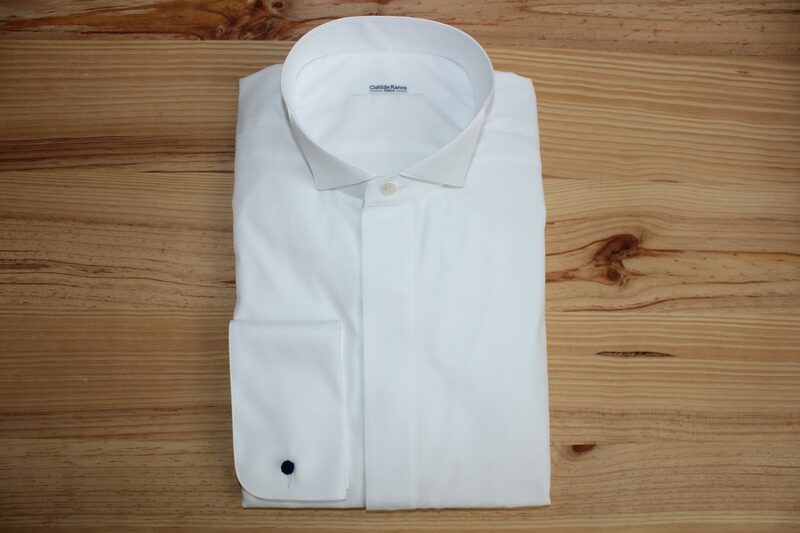 Atelier Clotilde Ranno realizes bespoke shirts for men and women. Clotilde Ranno listens carefully to her clients to assist them in the choice of fabrics, collar and wrists. 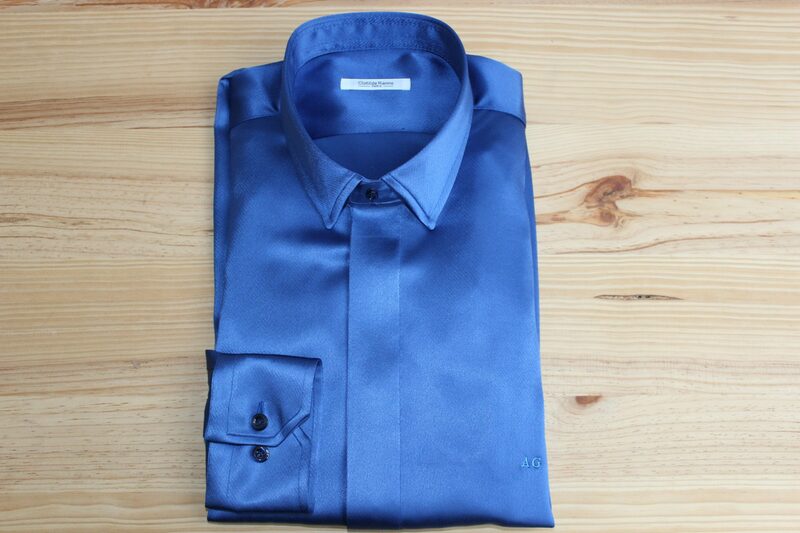 At the Atelier, you create a unique bespoke shirt. 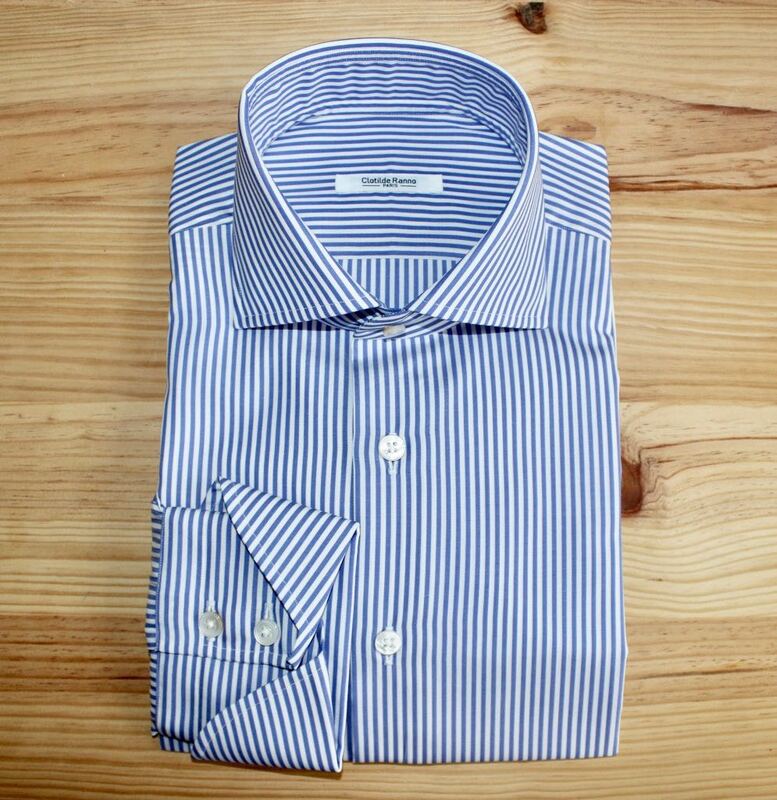 In our Luxury Shirts range for men, here’s the stripped shirt. 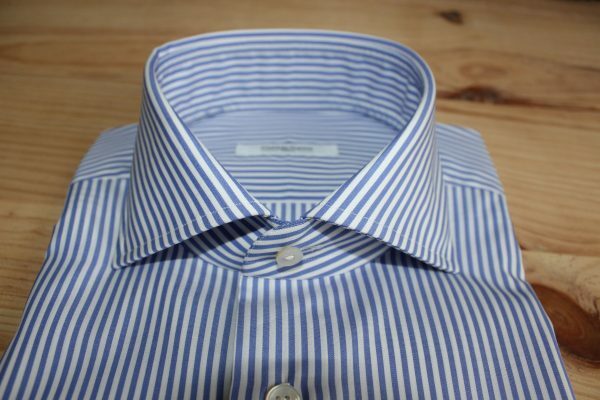 A bespoke shirt costs at least 199 euros VAT included. Depending on the fabric and the options you will choose, this price may vary. 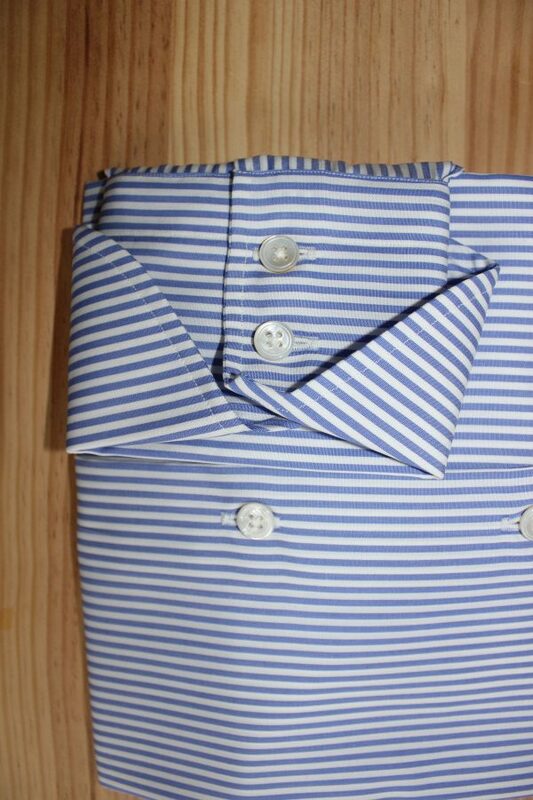 Very nice and summery stripped shirt, it is comfortable because made of Egyptian cotton. To be even more original, wear it with loafers to create an elegant and casual look. You want to create your bespoke shirt? Book an appointment at our Atelier, 5 rue du Helder in Paris. We will show you our fabrics and we will share with you our know-how. To please your loved one, offer them a personalized gift box. 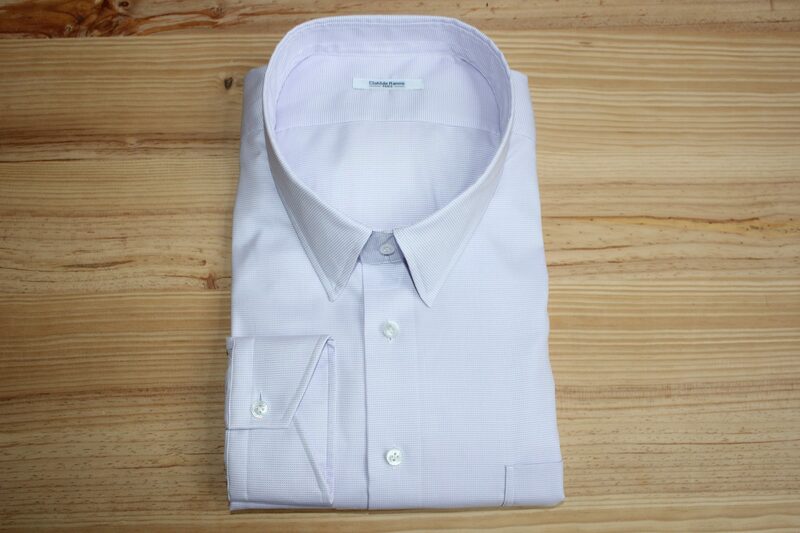 Your bespoke shirt can also directly be delivered to your place. For your information, you will receive your shirt a month after its conception. However, we can be more flexible in case of emergency (ceremony, birthday).